SIMELEC, S.L. 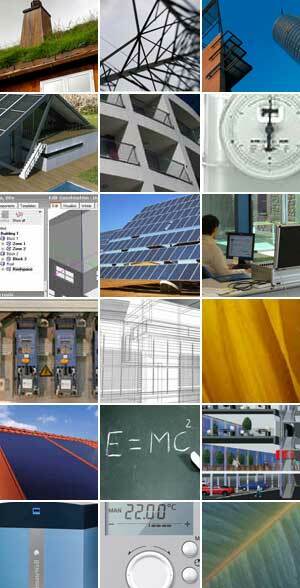 is an engineering company specialising in energy and new technologies. This binomial explains why we are different: we offer efficient energy solutions to our customers, applying the latest technological advances. We are a dynamic company, focused on the creation of value through innovation and a commitment to quality and service. Our own R+D+i Department channels the creativity and drive to innovate of our staff, which strives to look for new solutions for the current energy challenges. We are the only energy engineering firm that is a member of ALETIC (Asociación Leonesa de Empresas de Tecnología de la información y las comunicaciones - Association of Information and Communications Technology Companies of Leon) and AETICAL (Federación de Asociaciones de Empresas de Tecnologías de la Información, Comunicaciones y Electrónica de Castilla y León – Federation of Associations of Information and Communications Technology and Electronics Companies of Castilla y León). We have been designing solutions and products related to energy audits, consulting and engineering, remote energy measurement and energy consumption control in buildings and industries since 1993. Likewise, we have a strong commitment to renewable energies, participating in the promotion, design, supply of equipment and execution of solar and wind power installations, cogeneration plans, hydraulic power plants, biomass plants and, in general, any project that involves the sustainable use of energy resources. We firmly believe in a work approach that respects the environment, never setting aside the profitability and efficacy of our systems, guaranteeing the long-term protection of our customers’ investments, while we collaborate to create a future model based on sustainability. We practice what we preach and are the first in using renewable energies and technical control systems in the buildings of our own installations, thus improving their efficiency and contributing towards the improvement of the environment. Finally, our environmental and quality policy is certified by the ISO9001:2000 and ISO14001:2004 Standards, which guide the daily running of SIMELEC. We have signed official distribution agreements and consolidated alliances with global leaders in the energy and technology sectors, such as Landis+Gyr, Siemens Building Technologies, Viessmann, Climatewell or Kromschroeder, allowing us to be at the forefront of technology. We collaborate and wish to expand our cooperation with research entities. Currently, we have signed collaboration agreements with the Electrical Engineering, Systems and Automation Department of the University of León and the IAF (Instituto de Automática y Fabricación – Automation and Manufacturing Institute) of the same university for the joint development of energy projects. At SIMELEC, we believe in what we do and our commitment is based on a series of deeply-rooted values. We are passionate about what we do and are highly committed to our projects, and our results are proof of this.